Happy holidays everyone!!!! I am SOOO excited to have just moved into a neighborhood where people are focused on community!!! I cannot wait to give out these neighbor gifts! 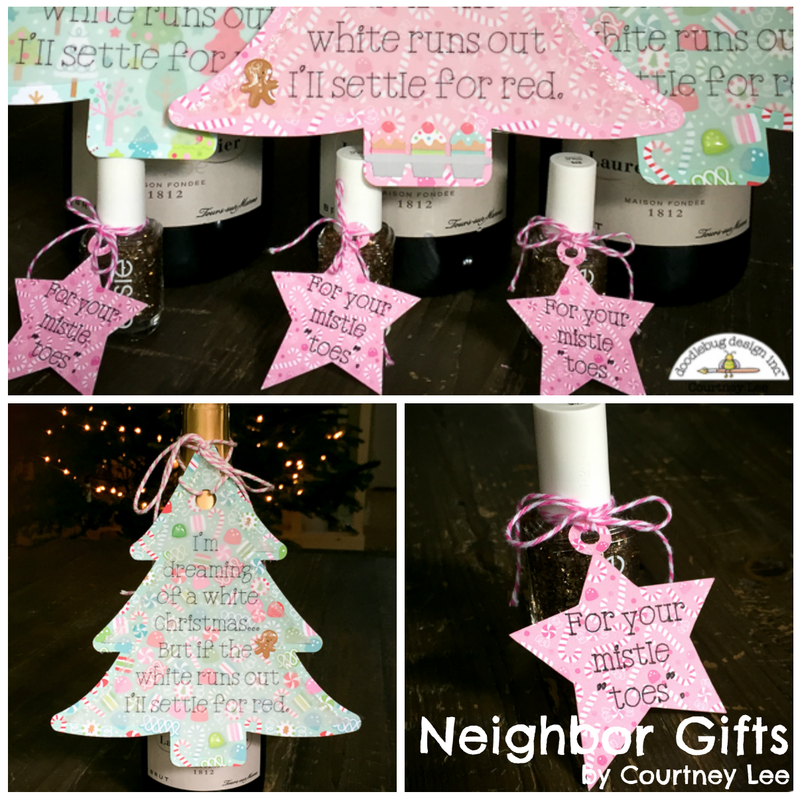 Courtney Lee from Court's Crafts here to share a little neighbor gift inspiration with you for both adults and kids! The girls had this cute idea to give gold sparkle nail polish. I loved it. 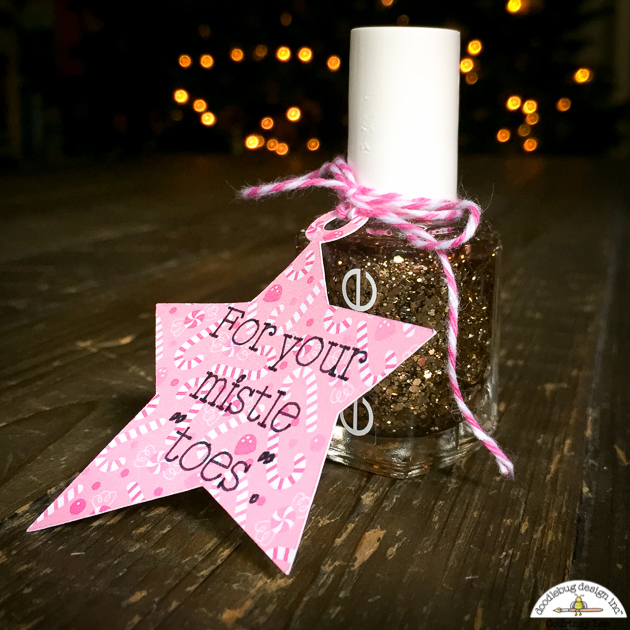 To Pinterest I went and found this pin that used the mistle "toes" pun. I am one for puns so I thought this was really fun! I had my Cricut do the write and cut feature which made this project very fast and fun. I tied them on using bubblegum doodletwine. While I was on Pinterest I found this hilarious phrasing about red and white wine and just had to use it. 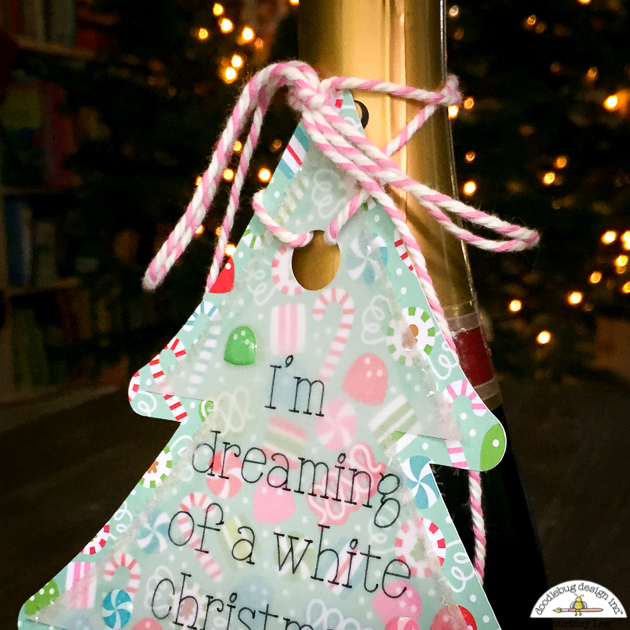 So I grabbed a bunch of bottles of champagne ('tis the season!) and made these cute tags! 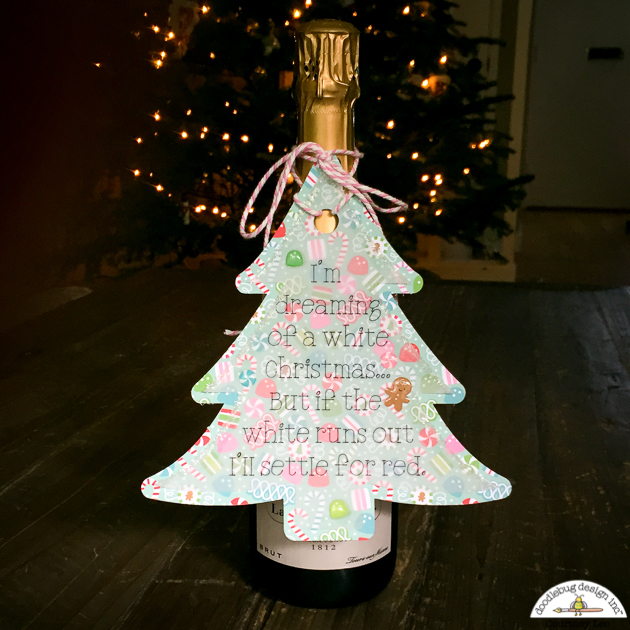 I had my Cricut Maker do the writing for me (I am not blessed with that adorable cute writing most of the DT has! lol!) and wrote it on vellum so that the cutest Doodlebug paper would be the focal point. All of this paper is from the Milk and Cookies collection. I adhered my vellum and while most of it stayed hidden on some of the tags, the adhesive was showing. No one wants that. 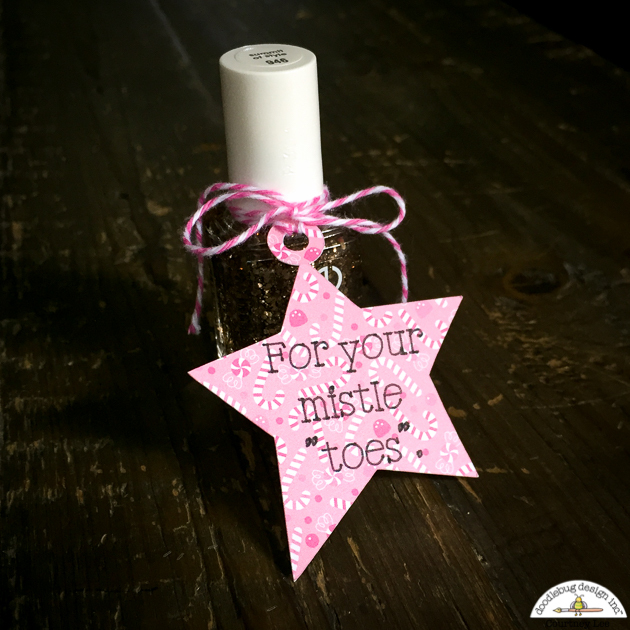 So I used liquid glue on the edges and added tinsel glitter for some snowy fun. 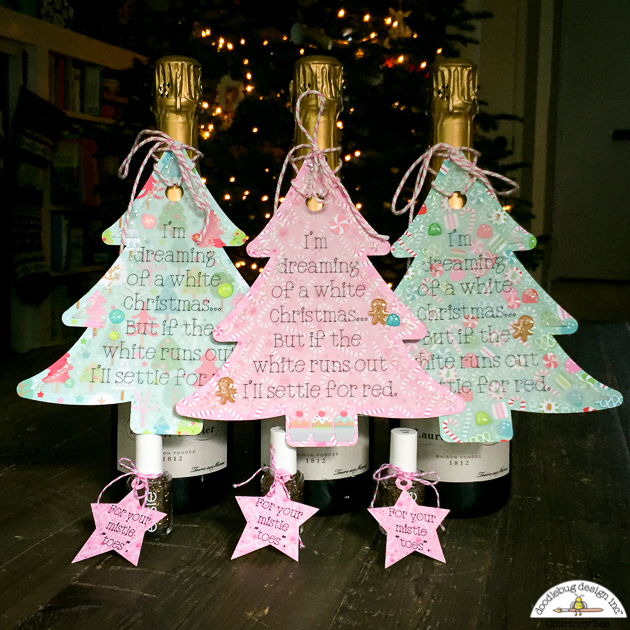 Then I decorated my trees with sparkle sprinkles and shape sprinkles and just had so much fun with it! 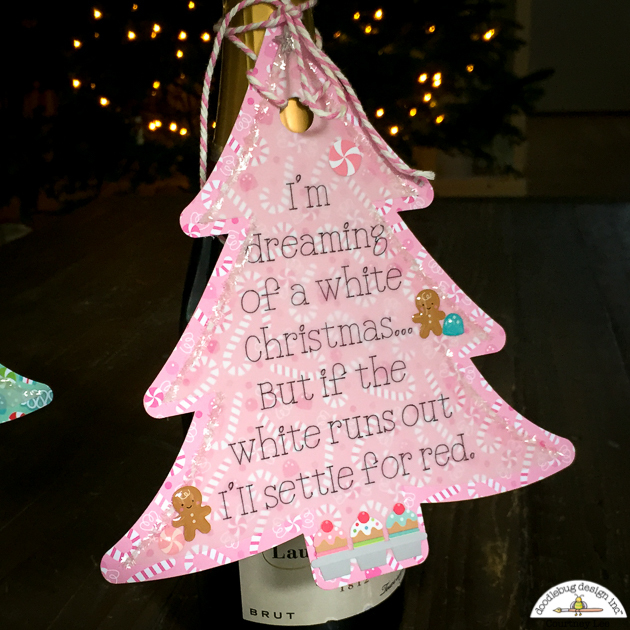 Lastly I tied them to my bottle using some awesome doodlebug chunky twine. Now, just write your name and holiday wishes on the back and leave them on someone's doorstep! I am so excited to have something both for adults and for little ladies! 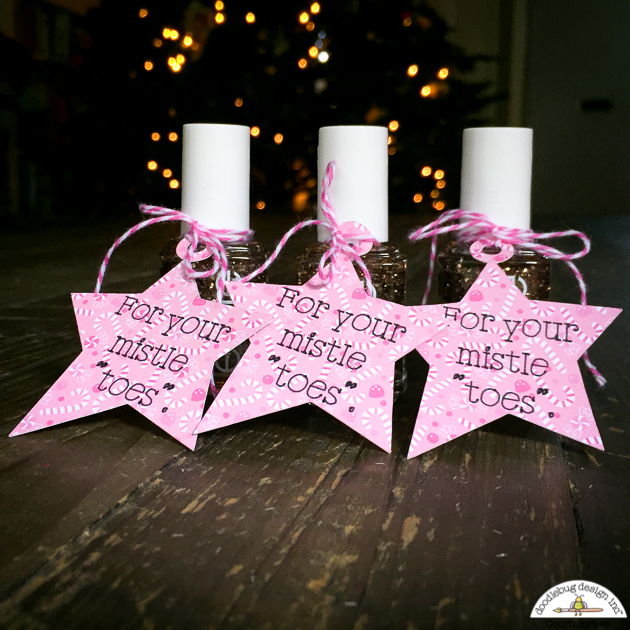 Did you make neighbor gifts with Doodlebug? We would LOVE to see them! Such cute puns! Loving the Mistle Toes! What a fun idea! Love the puns!